Chris Wood scored a stoppage time goal at Wembley to earn us a point in a 1-1 draw against Spurs on his Burnley league debut and it was the same player who scored another late goal for the Clarets yesterday to win us another point as we came from behind to draw 1-1 against West Ham. The goal, a superb header into the corner of the net from an equally superb Johann Berg Gudmundsson cross, was the least we deserved as we fought to come back from behind for most of the game after Michail Antonio, the last player to score a pre-Dyche goal against us at the Turf, had given them an early lead. That goal, and the draw, ensured we stretched our unbeaten run in the Premier League to six games and even with the later result at Watford has seen us only drop one place in the table. It was a double header of a day yesterday with the youth team at home. They too fell behind to a first half goal but, unlike the first team, couldn’t get the goal their performance deserved to enable them to earn a deserved point. By the time I arrived at the Turf from Gawthorpe the expected news had come through that Sean Dyche had stuck with the same starting eleven who had played two weeks earlier in the win at Everton. The only change came on the bench where Charlie Taylor replaced Phil Bardsley. There was some surprise outside when the West Ham line up came through with all of Manuel Lanzini, Marko Arnautovic, Michail Antonio, Andy Carroll and Javier Hernandez named by Slaven Bilic to start. I thought we started quite brightly without really threatening the West Ham goal but they got back at us and then took the lead while I was berating referee Stuart Attwell for not giving us a free kick in the centre circle for a foul on Wood. He got away from his man but lost the ball which was played back to Joe Hart. His long punt up field was misjudged by Ben Mee. That let in Antonio who eventually got it past Nick Pope to score into an empty net. It’s just the second goal we’ve conceded at home in this Premier League season, the other coming from West Brom back in August, but we’ve only scored one goal too, Wood’s in the win against Crystal Palace, so going behind was always going to make it tough. Attwell hadn’t made the best of starts, and there were more errors to come from the referee, but just past the midway point in the first half I thought he got it very right with his actions against Andy Carroll. I’ll give the striker the benefit of doubt when he was yellow carded for an elbow on James Tarkowski. Yes, he headed the ball and yes, he elbowed Tarkowski. I would accept that you use your arms in that position but there does, to me, seem some movement towards our player with the stray elbow which I considered unnecessary. Attwell yellow carded him for that but the man has to be a complete fool to do what he did just over a minute and a half later. If you’ve been carded in a game, or even spoken to by the referee, you ensure you don’t do anything in the next five to ten minutes. This clown only went and did it again, this time felling Mee. He pleaded his innocence as the second yellow came out; Winston Reid joined in too, putting his hands on the referee which should have earned him an automatic card. Carroll, I believe, can count himself very fortunate indeed to have got a second yellow. He’ll serve a one match ban now but that second offence was surely a straight red which would have landed him a three match ban. Slaven Bilic had his tantrum on the touchline but, to his credit, on reflection, he laid all the blame at Carroll’s feet and not the referee’s. Our best two chances to equalise in the first half both fell to Wood but on both occasions he was thwarted by Hart. The first was a header from a Steven Defour cross. Had he got it either side of Hart it would have been a goal but it went straight to the relieved goalkeeper. Then, and controversially, he went down under a challenge from Hart after being played in with a brilliant pass from Robbie Brady. Penalty? Dive? Nothing? I wasn’t sure; I am now. Attwell got it completely wrong when awarding a corner – it was a clear penalty. That ensured it was West Ham who went in with a lead and left Dyche ready to change things for the start of the second half. Those changes saw both Scott Arfield and Jeff Hendrick replaced with Sam Vokes and Gudmundsson coming on. West Ham also made a change with Pedro Obiang replacing the ineffective Arnautovic. West Ham went deeper and tried to catch us on the break. It didn’t offer them too much other than the best move of the match involving Hernandez, Lanzini and Antonio with the goalscorer seeing his effort saved by Pope, the save every bit as good as the move. At times it was looking a bit frantic for the Clarets but just past the hour we were inches away from levelling when Gudmundsson fired a shot against the post only for it to come back, hit Hart’s back and drop nicely for him to pick it up. Embed from Getty ImagesMatt Lowton was almost on the end of one move but it went agonisingly past him and, as the frustration clearly grew in the stands, it did look as though we might suffer a second home defeat of the season. Dyche did his best. He will always tell his players to stay on their feet when possible and he showed us just how when he took Lanzini out when the West Ham player couldn’t avoid running into our technical area. It really was a neat bit of footwork from the Clarets’ boss, I just hope he didn’t damage his much loved shoes. West Ham replaced the petulant Hernandez and with nine minutes to go we introduced Ashley Barnes for Stephen Ward. It looked as though we were going to try and bombard them and then came the goal. Pope cleared the ball which was won by a West Ham head. Jack Cork picked it up and played a short ball to Defour. How fitting those two, clearly our best two players on the day, were involved. Defour moved it wide to Gudmundsson and the World Cup bound Icelandic got down the right before delivering a peach of a cross which Wood planted into the net. It led to a New Zealand civil war in the net as Wood and Winston Reid clashed with both being carded but that was the last real action of the game as both teams saw the game out and another point to take our total to 13. I’m not sure I understand any of the negativity around. Yes, we went into the game in sixth place but surely no one expects us to be a team able to just go out and win a game because the team we are playing are lower in the table. Our opponents, no matter how they’ve started the season, are full of expensively purchased players. Yet, we were the better of the two sides, we fully deserved the point we got and we’ve now taken that unbeaten run to six games. Still, only one home win has brought out the moaners constantly mentioning the home results, probably the same people who were moaning about the away results last season. Strangely, right now, the better we play at home, the less likely we are to win, but that will change and I’m sure there are plenty of home wins to come this season and plenty more points for us to pick up. Another decent performance I thought, thirteen points from eight games and it’s only Manchester City next. Now, how many did they score yesterday? 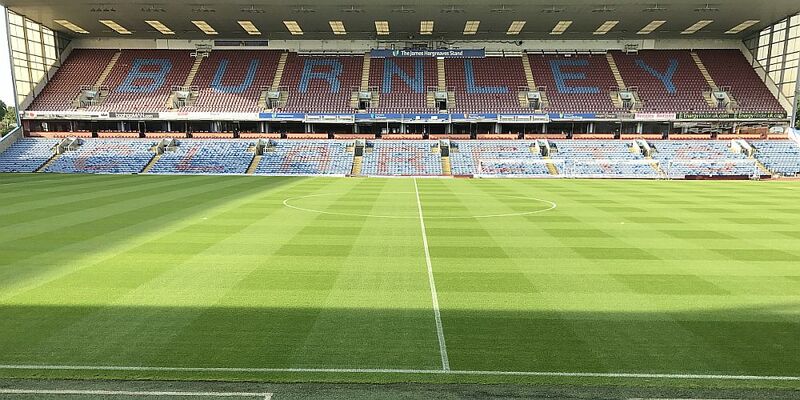 Burnley: Nick Pope, Matt Lowton, James Tarkowski, Ben Mee, Stephen Ward (Ashley Barnes 81), Robbie Brady, Steven Defour, Jack Cork, Scott Arfield (Johann Berg Gudmundsson ht), Jeff Hendrick (Sam Vokes ht), Chris Wood. Subs not used: Anders Lindegaard, Kevin Long, Charlie Taylor, Ashley Westwood. West Ham: Joe Hart, Pablo Zabaleta, José Fonte, Winston Reid, Aaron Cresswell, Cheikhou Kouayte, Michail Antonio, Manuel Lanzini (Arthur Masuaku 88), Marko Arnautovic (Pedro Obiang ht), Andy Carroll, Javier Hernandez (Diafra Sakho 75). Subs not used: Adrián, Angelo Ogbonna, Mark Noble, André Ayew. Yellow Cards: Andy Carroll, Pedro Obiang, Winston Reid. Attendance: 20,945 (including 2,410 from West Ham).